There is no doubt that everyone has thought of running their favorite Android apps and games on a huge screen using your Windows PC or a Mac. We stick to our phones in which we spend most of the time using apps or playing games. And Android Operating system has been more popular in these days, and many useful applications and best exciting games are launching daily for android users. What if you do not own an Android device and have windows/mac pc? Don’t worry you can easily use and experience any Android application or game on your personal computer or laptop.However selecting the best Android emulator might be a tough task, as if not selected properly they can really slow down your PC. Remix OS Player is the latest Android emulator for Windows PC and emulators allow users to play multiple games at the same time. You can run Android applications in multiple windows on your PC. Remix OS Player is based on Android Marshmallow which means you can enjoy the latest apps and games Android has to offer. Remix OS Player is entirely free to download. This emulator comes as an exe.file, which makes its installation very simple. Bluestacks is certainly a well-known Android emulator on this category list, and it was also the most commonly used Android emulator. It’s basically free to use, but it can occasionally install some bloatware on your PC which will definitely decrease performance on your PC. BlueStack also comes with a premium version that is without any bloatwares, but it has $2 per month cost. GenyMotion is next-generation Android Emulator for PC, and can be considered as a great alternative to Bluestacks.It has advanced features like OpenGL and hardware acceleration support. It’s built on the x86-architecture and hence it is faster than compared to BlueStacks. It is another Android emulator in the market, and it is one of the best choices for simulating Android on your PC. 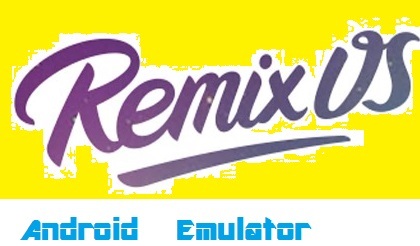 You can also add add-ons emulators, which make Droid4x even more useful and powerful. It has pre-installed Google Play Store which also performs well in gaming and in terms of stability. Another great feature of this emulator is that you can install the app of this emulator on your Android device, so you can control apps and games through your computer. Andy OS is another decent Android emulator for Windows.It can handle good for a variety of tasks, but it can install bloatwares similar to bluestacks. Andy supports some very unique features that are mostly not supported by all Android emulators in the market, like playing games and apps on your PC from a device and the facility to install apps directly using your desktop browser. You need to install VirtualBox to use AndyOS. 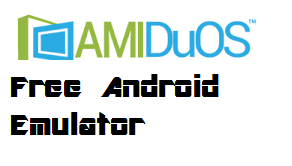 AMIDuOS is also a great Android emulator has two versions one running Android Lollipop, and the other one running Jelly Bean. AMIDuOS is free for one month, but then it has a price, Lolipop version will cost $15, and Jelly Bean version will cost $10. It works extremely well on your computer, and it is decent to various tasks just as per your need. However, this emulator is not suitable developers, as it doesn’t give you specific configurations for the device, but for regular users, it’s a very good choice, if you want to pay for an Android emulator, of course. 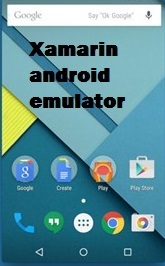 They also provide a Xamarin Android Player which acts as an emulator for installing and running apps and games on the computer. This emulator also can detect a touch input, if you have the 2 in 1 Laptop or touchscreen PC. As a decision, it can be your next core emulator for running android apps on PC. Leapdroid is the next on the list of Android emulators that can run Android apps on Windows PC. It requires a virtual machine to run the whole Android OS inside Windows with very high performance and responsive. It instantly turns a PC into a very powerful Android tablet. Phoenix OS is a full-fledged operating system which is researched and developed based on the Android platform, this OS also supports the tablet, laptop and desktop computer and other large-screen devices like smart TVs and also supports millions of mainstream Android applications. MEmu claims the highest performance comparing to other Android emulators like BlueStacks and has decent compatibility. It runs on nearly all Windows devices including tablets and smart TVs. MEmu also has to versions KitKat and Lollipop which is available for free to download. Nox is another equally good Android emulator mostly for playing Android games and apps on your PC. The Nox App Player has Android 4.4.2 Kit version of Android and most people will be familiar with the UI experience. The software provides tablet like user interface, and so anyone can use it. Also, Nox comes with pre-installed Google Play Store, no need for any external installation procedure for the Play Store app, which is great for Android users at this point. You can download and install any android emulators from the above list to run android OS on your Windows PC. You can also use this software for testing apps, games, and other development purposes if you’re a developer rather than implementing your new project in your actual Android device. Most of the Android emulators that are listed above are free to use and provides a great experience for a user to run Android games and apps on Windows platform.